Margaret Hamilton, born in Indiana in 1936, is a pioneer for women in technology. After studying mathematics in college and teaching high school math, Margaret accepted a job at the prestigious Massachusetts Institute of Technology (MIT). Here she began programming software to help predict the weather, and it is also where her love for engineering was created. Over the next ten years, Margaret had a huge impact on science in America. At MIT’s Lincoln Lab, she worked on a project where she wrote the software for the first U.S. air defense system – a program that helped the U.S. to detect enemy aircrafts. Most notably, at her time at MIT’s Instrumentation Lab, she provided aeronautical technology for NASA. 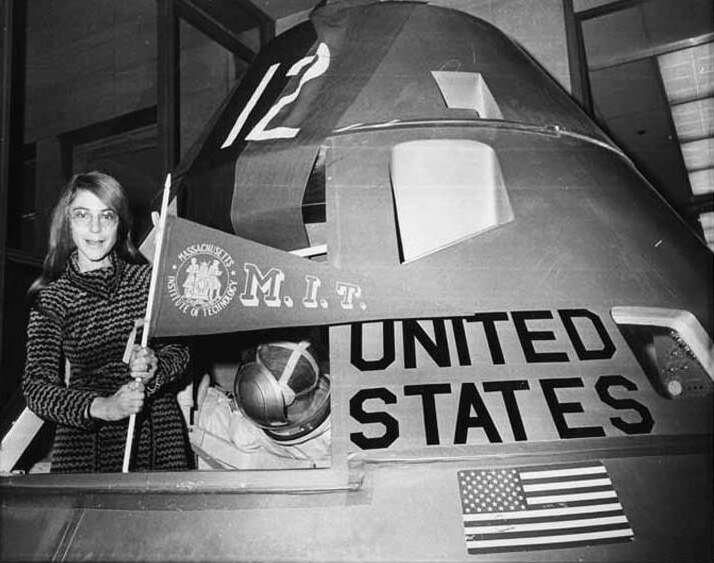 She led a team that developed software for the guidance and control systems for in-flight command and lunar modules. There was no type of software like this out at the time, so Margaret and her team members created it. She specifically created the software to detect system errors and recover information in computer crashes, which were both crucial elements during the 1969 Apollo 11 mission (which took astronauts Neil Armstrong and Buzz Aldrin to the moon! ).